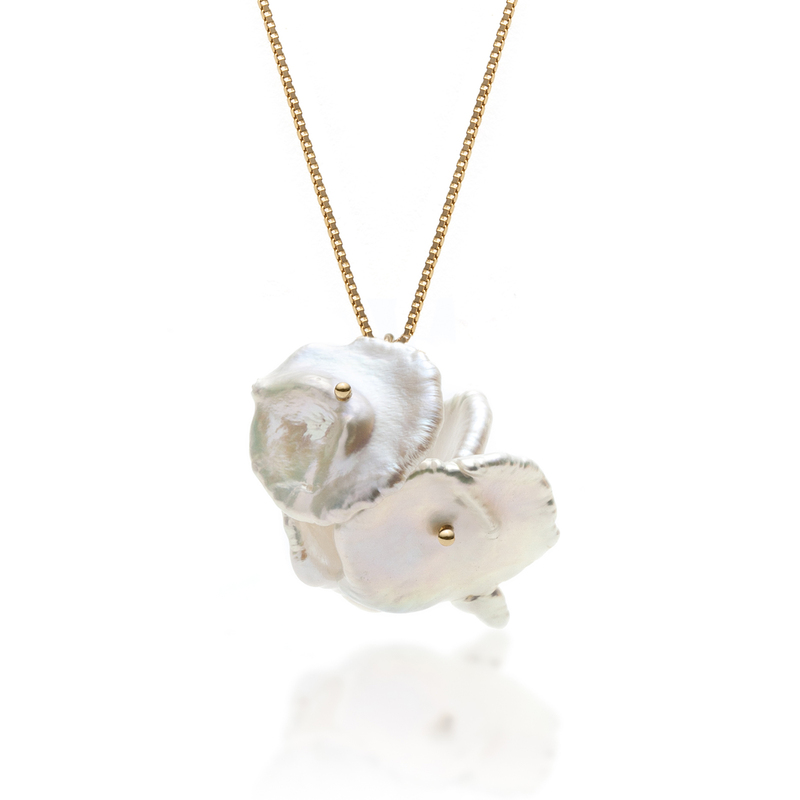 Pendant in 14k yellow gold with a freshwater pearl petal cluster composed of 4 pearls. 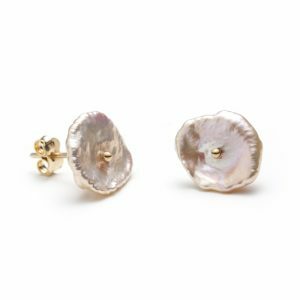 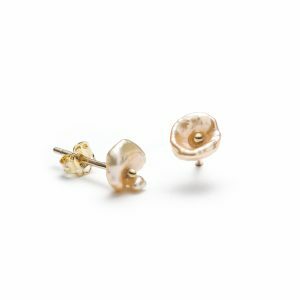 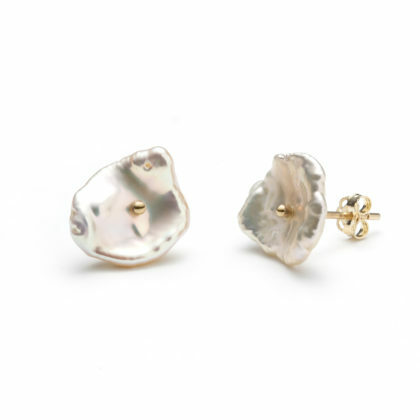 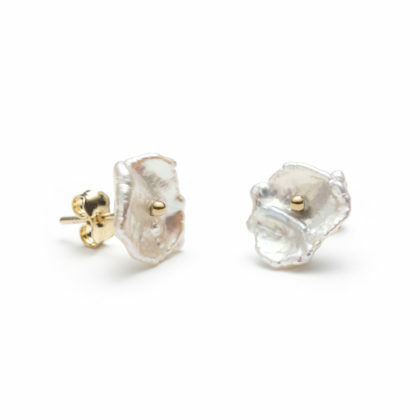 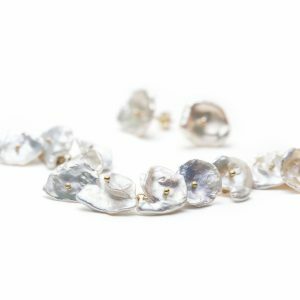 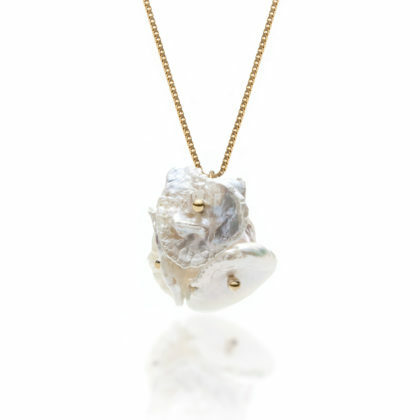 Because of the uncontrollable nature of these pearls each of these pendants are unique. 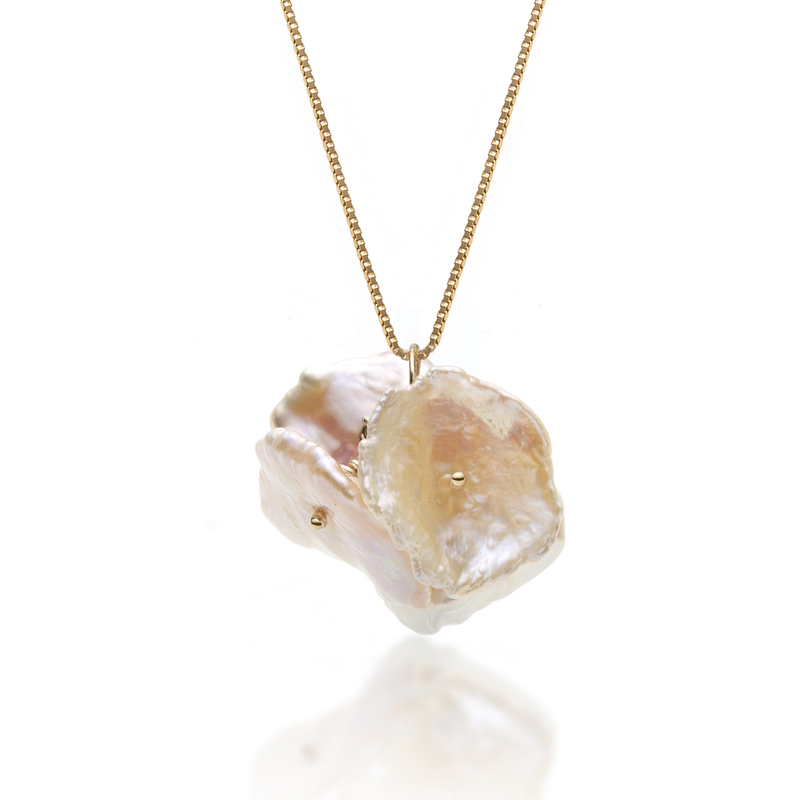 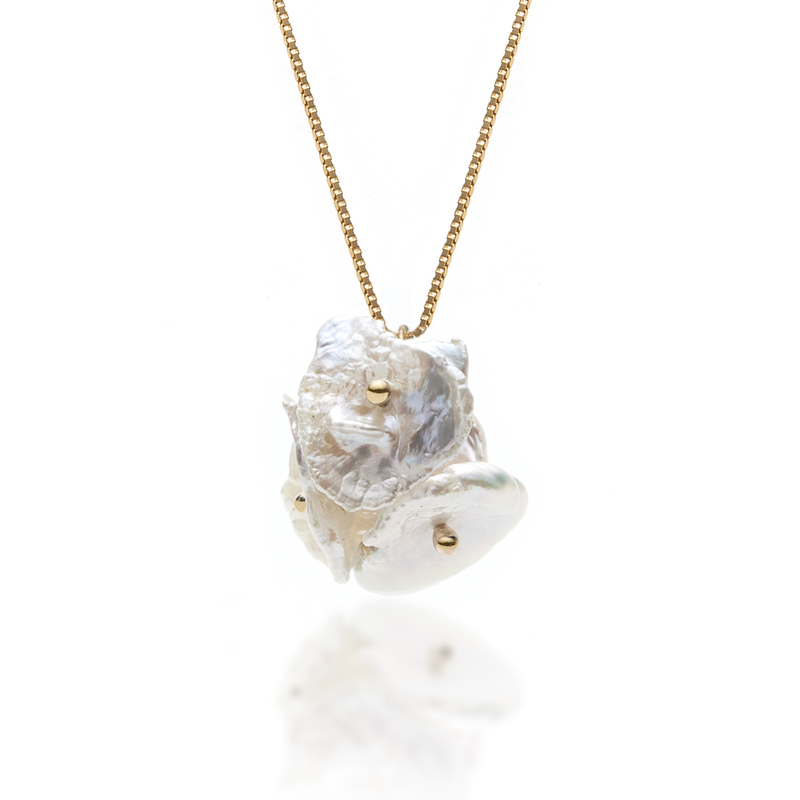 Pendant in 14k yellow gold with white freshwater pearl petal cluster.